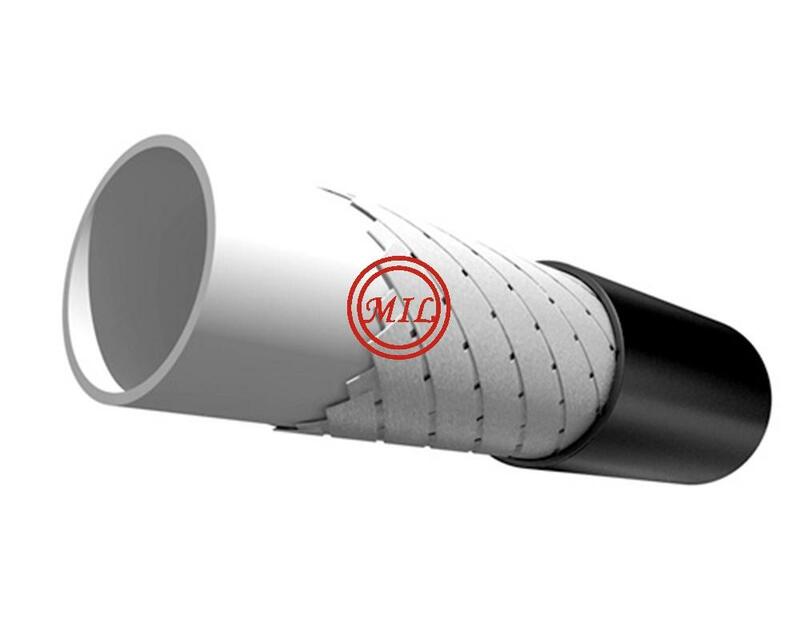 FTP Structure: high density polyethylene (HDPE) liner, glass fiber tape unbonded reinforcement layer and external high density polyethylene jacket. Available in 3", 4", and 6" internal diameter sizes with 750psi, 1000psi, 1500psi, and 2300psi pressure ratings and the maximum continuous operating temperature is 140°F (60°C). FTP provides an economic, flexible solution for hydrocarbons transportation. The light weight, continuous, and high impact resistance pipe is widely used in the deserts and mountains. By considering the H2S and CO2 content, it can still be applied without any restrictions since its non-metallic characteristic.